in the process of upgrading our Ebay outlet and website. Please bookmark us and look out for some interesting products to come. These include specialist oils and fluids, novel cleaning products & automotive products etc. 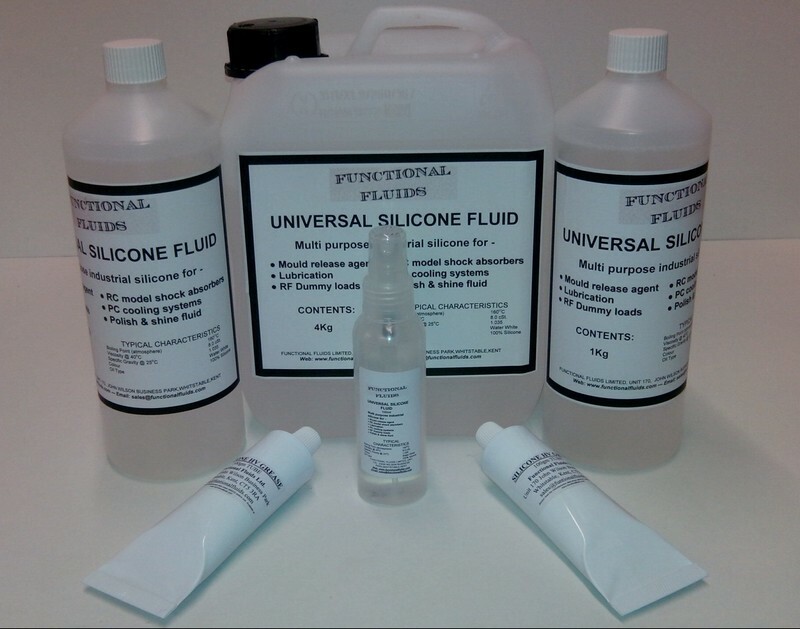 For bulk orders and wholesale prices please contact us here: sales@functionalfluids.com. We are also able to produce many similar products to suit your specific requirements, please contact us to suggest a product. We can also provide mineral oil based products and solvents. To go directly to our eBay store please click here. We are a small family run company based in Kent in the United Kingdom and have many years of experience in the manufacture of silicone and mineral oil based products.